Sarah Kirsch, considered in 1989 “die bedeutendste Lyrikerin der Gegenwart” (the most important lyric poet of today), gained initial prominence in the 1960’s as one of a group of young poets in the German Democratic Republic who challenged the official ideology that literature should primarily reflect the values and achievements of socialist society. Her precisely observed imagery, grounded in nature and everyday occurrences, her often surprising associations, use of colloquial expressions and subtle grammatical structures and her sense of rhythm made her an original voice and caused one critic to speak of her unique “Sarah-Sound.” At the same time her willingness to express intimate themes of love, resignation and sadness caused some GDR critics to distance themselves from her, while others – as well as readers in the West – were fascinated by her ability to elicit political and universal meanings through such personal verse. Her early prose and journalistic writing included the five narratives based on recorded interviews with women (published in 1976 as Die Pantherfrau) and a collection of short stories from the same year, Die ungeheuren bergehohen Wellen auf See, also about women. These works shed pioneering light on gender roles and the situation of women in the GDR, officially egalitarian but still patriarchal in much practice and thought. 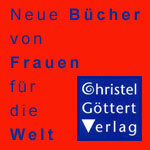 But while Kirsch later acknowledged that women (including her literary idols Bettina von Arnim and Annette von Droste-Hülshoff) have been historically disadvantaged, she resisted efforts by western feminists to claim her for the women’s movement. Kirsch left the GDR in 1977, virtually forced out after having signed an appeal on behalf of exiled singer-songwriter Wolf Biermann. Settling eventually (1983) near the Danish border in rural Schleswig-Holstein, she turned increasingly to prose texts such as Allerlei-Rauh (1988), which blend contemporary and recollected experience and fairy tale motifs. In her characteristically original style – incorporating dialect, archaic and colloquial elements and challenging syntax – Kirsch continued to merge subjective experience with larger themes such as imperiled nature and the transitoriness of existence. The growing darkness of her vision was mitigated by self-irony, “linguistic wit and a fine sense of the comic in human affairs.” Sarah Kirsch received numerous prizes and awards, among them the Heinrich Heine Prize of the GDR (1973), the Petrarca Prize (1976), the Droste Hülshoff Prize (1997), the Austrian State Prize for European Literature (1980), and the Georg Büchner Prize (1996). Ingrid Hella Irmelinde Bernstein was born April 16, 1935 in her paternal grandfather’s parsonage in the village of Limlingerode on the southern edge of the Harz Mountains in Thüringen, and was baptized soon thereafter in his nearby church. She would later take the name Sarah out of solidarity with Jews murdered in the Holocaust and in protest against the anti-semitic views of her father, a telecommunications technician. Her childhood was spent in Halberstadt in an apartment complex belonging to her maternal grandparents. In spite of the Third Reich and sufferings during the war – Halberstadt was severely bombed in April 1945 – Kirsch later described her childhood as a happy one, shaped especially by her relationship with her mother: “Ich hatte eine Mutter, von der kommt das Urvertrauen. Deswegen habe ich nie Angst.…Diese Mutter war ein großes Geschenk.” (“I had a mother who provided basic security. That’s why I’m never afraid….This mother was a wonderful gift.”) The easygoing, empathetic mother conveyed her love of nature and knowledge of plants to her daughter. She also modeled a passion for reading: often she would be reading five books at a time, and would comment on a particularly effective use of language. The Austrian novelist Adalbert Stifter, with his loving attention to details of nature and everyday objects, was a favorite in the Bernstein home. During her teenage years Ingrid Bernstein saw life improving for the populace, and became an enthusiastic participant in organizations sponsored by the socialist state – the GDR was founded in 1949 – such as the FDJ (Freie Deutsche Jugend / Free German Youth). Driven by her love for nature, she first attended a school for forestry following high school, but gave it up when it appeared to involve destroying her beloved forest: “In der Facharbeiterlehre … mußten wir ständig Bäume fällen, und das habe ich nicht ausgehalten. Ich sah von meinem Wald nichts mehr übrigbleiben….” (“In our specialized training we constantly had to fell trees, and I couldn’t bear that. I could see that nothing would be left of my beloved forest.”). She switched to the study of biology at the University of Halle and graduated in 1959; as expected in the GDR, she also spent time working in a sugar factory, on a collective farm and in residential education. Ich habe in der DDR gelernt: “Ich sagt man nicht.” Das Ich gibt man auf. Man ist “man” oder “wir”. … Wir mussten doch immer etwas Allgemeines schreiben. “Wir freuen uns auf den Wind von morgen.” … Das Ich-Sagen war mein Glück. a wide spectrum of love poetry from intense desire to resignation and separation. The independent-minded Kirsch – whose poems were grounded primarily in personal experience and emphasized subjective feeling often subtly critical of GDR conditions – was eyed with suspicion by the cultural authorities of the SED. Nonetheless she was recognized as an important talent, received numerous awards in the GDR and was allowed to travel outside the country, for example to Italy and France. Kirsch was divorced from Rainer Kirsch (“Prinz Herzlos” / Prince Heartless) in 1968 and moved to East Berlin, where she made a modest living from translating. In 1969 her son Moritz was born; the father was poet Karl Mickel. She began a four-year relationship “across the wall” with the West Berlin poet Christoph Meckel. In 1976 Kirsch signed a letter protesting the expulsion of singer-songwriter Wolf Biermann from the GDR. 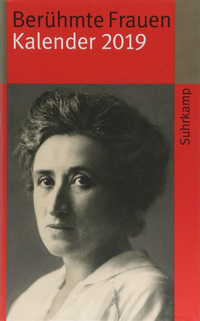 As a result she was herself expelled from the party and lost her position in the leadership of the GDR Writers’ Association, among other reprisals. Kirsch requested permission to leave the GDR, and the exit visa was quickly granted; the authorities were glad to be rid of the uncomfortably rebellious author. And through the years Kirsch continued to reap the poetic and literary fruits of her travels – to France, the USA, Norway, England, Wales, Iceland, for example. But ultimately she craved the creative solitude of nature, and in 1983 she moved with Schweinitz and son Moritz to Schleswig-Holstein, settling in a former schoolhouse in Tielenhemme (Dithmarschen). Here she kept sheep, cats and a donkey, observed and absorbed nature and the world, and wrote daily for the next 20 years. She also took up painting; her watercolors appear in some of her publications, for example Spreu (1991; Chaff). Kirsch continued publishing throughout, poems and increasingly prose and journal entries. She maintained her politically engaged, even defiant stance: when invited to join the prestigious Akademie der Künste in Berlin in 1992 she declined, decrying it as a “Schlupfbude” (hideout) for former GDR state poets and Stasi informants; she also refused to accept the Federal Cross of Merit out of condemnation of then Bundestag president Karl Carstens’ Nazi past. Sarah Kirsch died in Heide on May 5, 2013 after a short illness; her ashes are buried in the garden of her house in Tielenhemme. Ich gehe irgendwohin und grase dort alles ab. So war es schon in meinem ersten Gedichtband Landaufenthalt. Es sind optische Eindrücke, die bei mir etwas auslösen. Ich sehe etwas und will haargenau bedenken können, wie es aussah. Wie der Eindruck war. Was ich empfunden habe. Wie der Klang des Windes war. Wie diese Farbe. Es gibt eigentlich immer nur eine richtige Lösung, wie im Kreuzworträtsel, der muss ich so nah wie möglich kommen. Das kann mich tagelang beschäftigen, das ist eine Sucht…. Bäume und Wolken drücken auch Seelenzustände aus. Das hängt doch alles sehr eng zusammen. Wenn man glücklich ist, so richtig glücklich, dann sieht man das Schöne….. Man muss das Schöne sehen können. I go somewhere and graze everything bare. It was like that from my first volume of poems, Landaufenthalt (A Stay in the Country). It’s optical impressions that stimulate something in me. I see something and want to reflect about what it looked like with absolute precision. Just what was the impression? What did I feel, sense. What was the sound of the wind? What was that color? There is actually only one right solution, similar to a crossword puzzle; I have to get as close as possible. That can take days, it is an addiction…. Trees and clouds also express soul states, mental and emotional states. It’s all very interconnected. If you’re happy, really happy, then you can see beauty. You must be able to see beauty. Jochen Hieber, “’Baumgefiederter Deich’: Die Gedichte der Sarah Kirsch,” FAZ 15.7.1989. Quoted in Martin Kane, “’Aus der ersten Hälfte meines Landes:’ Sarah Kirsch in the GDR,” Mererid Hopwood and David Basker (eds), Sarah Kirsch (Cardiff: University of Wales) 1997, 14, n.11. 2] Hacks, Peter.. 1977. “Der Sarah-Sound” in Maßgaben der Kunst: Gesammelte Aufsätze. Düsseldorf: Classen. 267-84. Online: Hacks, Der Sarah-Sound. Michael Butler. 1997. “’Die Endlichkeit dieser Erde’: Sarah Kirsch’s Chronicles of Transience,” in Hopwood and Basker. 56. Kirsch, Sarah. 1979. “Von der volkseigenen Idylle ins freie Land der Wölfe.” Interview mit Klaus Wagenbach. Freibeuter 2/1979. S. 90. “’Man muss demütig und einfach sein’.” 2005. Interview von Iris Radisch Die Zeit 14. April 2005. http://www.zeit.de/2005/16/L-Kirsch-Gespr_8ach . As cited by Martin Kane, “’Aus der ersten Hälfte meines Landes:’ Sarah Kirsch in the GDR,” in Hopwood and Basker, 16. Drachensteigen (1979) in Sarah Kirsch, Werke in fünf Bänden Bd. 2. Gedichte, Stuttgart: Deutsche Verlagsanstalt, 1999, 25. Kane, Martin. 1997. 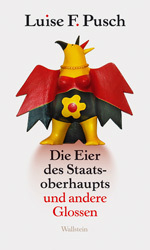 “’Aus der ersten Hälfte meines Landes:’ Sarah Kirsch in the GDR,” in Mererid Hopwood and David Basker (eds), Sarah Kirsch. Cardiff. University of Wales. 13-33. Kirsch, Sarah. Werke: in fünf Bänden. Hg. von Franz-Heinrich Hackel. Stuttgart. Deutsche Verlags-Anstalt. Sarah Kirsch. Erklärung einiger Dinge. Dokumente und Bilder. Rowohlt Taschenbuch Verlag. Rheinbek bei Hamburg. rororo 4877. Wagenbach, Klaus. 1979. “Von der volkseigenen Idylle ins freie Land der Wölfe. Ein Gespräch mit Sarah Kirsch.” Freibeuter 2. Berlin. Freibeuter/Wagenbach. 85-93. Wagener, Hans. 1989. Sarah Kirsch. Berlin. Colloquium Verlag. Köpfe des 20. Jahrhunderts.